This luxurious mansion has gone by many names, including Casa Casuarina, the Amsterdam Palace, and most recently, The Villa By Barton G. But most will always think of it at the Versace Mansion, since it is most famous as the former home and murder site of Italian fashion designer Gianni Versace. 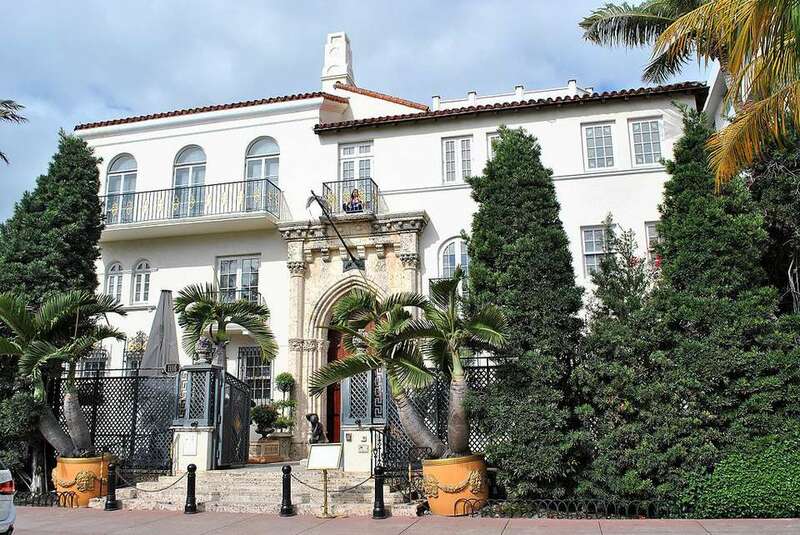 Learn more about the long and eventful history of South Beach’s most famous mansion. The mansion was originally built in 1930 by the architect, author, and philanthropist, Alden Freeman. Mr. Freeman was the heir to the Standard Oil fortune. He modeled the mansion after the oldest house in the western hemisphere, the "Alcazar de Colon" in Santo Domingo. The "Alcazar de Colon" was built in 1510 by Diego Columbus, the son of explorer Christopher Columbus. Freeman used brick from this ancient house in the construction of Casa Casuarina. Freeman updated the mansion with Moorish tile, mosaics and tapestries, and classical busts. He liked to entertain his free-spirited friends there, including the philosopher and artist Raymond Duncan. When Freeman died in 1937, the property was purchased by Jacques Amsterdam. It was renamed "The Amsterdam Palace” and served as a 30-unit apartment building. Many artists resided there, attracted by the architecture and beauty of the mansion. In 1992, the mansion was purchased by the famous Italian fashion designer, Gianni Versace, for a price of $2.9 million. He also purchased an empty hotel next door, the Revere Hotel, and used the property to make added space for an expansion. Versace added on a south wing, garage, swimming pool, and garden areas, and also made many renovations and embellishments. Versace’s demolition of the Revere Hotel was very controversial at the time. In 1993, the Miami Design Preservation League (MDPL) opposed the demolition of the 1950 hotel, noting that it was an important historic site and listed on the National Register of Historic Places. After 6 months of struggle, Versace was allowed to go ahead with the demolition. Critics believe the MDPL’s efforts were no match for the Versace’s fame, influence, and buying power. For the next few years, Versace and and his partner Antonio D'Amico hosted lavish parties and fashion shows at the estate. On July 15, 1997, at the age of 50, Versace was murdered on the front steps of the mansion by spree killer Andrew Cunanan, after returning home from a walk along Ocean Drive. Cunanan had already killed 4 other people during the previous 3 months, and then committed suicide just a week after shooting Versace. Cunanan’s motive for the killing spree is still unclear. After Versace’s death, the mansion was placed up for auction, and purchased in 2000 by telecommunications magnate Peter Loftin. The mansion became a private club in September 2000. Then in December 2009 restaurateur Barton G. Weiss reopened it The Villa By Barton G. It operated as a boutique luxury hotel, restaurant and event space.